This is very old and majestic building in Dnepropetrovsk, the monument of Ukrainian history. 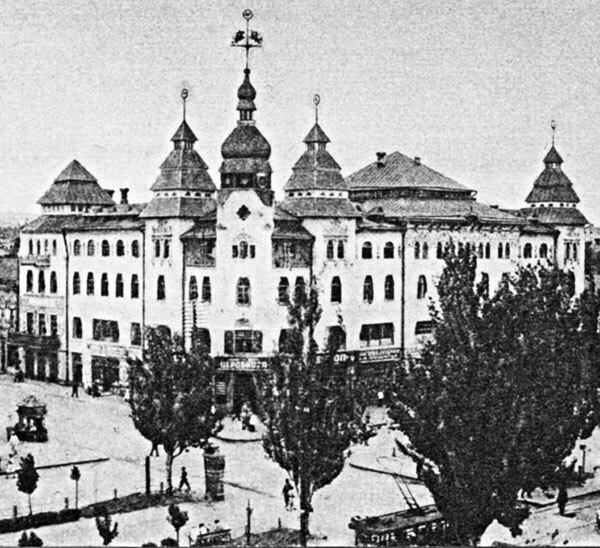 The foundation of the building was laid on October 30, 1910, in Pervozvanovskaya Street in Yekaterinoslav. It was the largest and the most beautiful building in the Karl Marks Avenue (Yekaterininskiy in honour of the empress Yekaterina the Second). The first name of the building was House of Hrennikov or Ukrainian House. The author of the building project was the owner Vladimir Hrennikov. Facade was made according to the project of famous architect Peter Fetisov. Mr.Hrennikov is a heir of rich merchant family. In 1914 one part of this new house was occupied. In 1917 Hrennikov left the House and he left our city in 1920 moving to Baku. But the life of the building continued. The largest destruction appeared in 1943 with the retreat of the German army. German soldiers detonated explosive inside the building and it was destroyed. After the Second World War there were two major repairs, in 50-ties and 90-ties. The authors of the reconstruction projects were Mr.Zuyev & Mr.Grinberg. 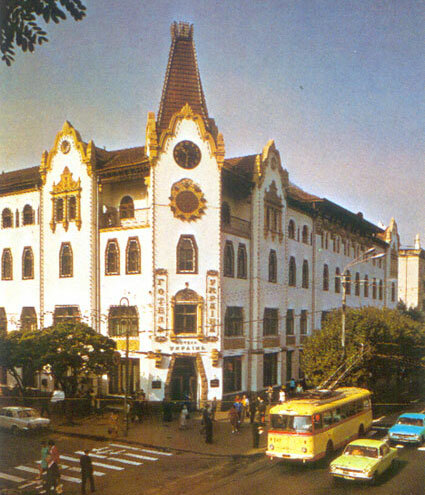 Now the building has been lovingly restored into a glorious hotel.